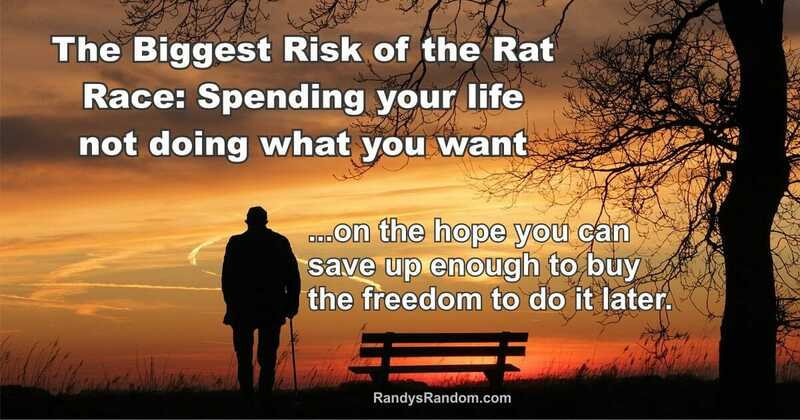 …on the hope you can save up enough to buy the freedom to do it later. It’s a “milestone” birthday for me today. My dream from childhood was to be a writer, and I worked hard to make it happen. Later this year will be my 25th anniversary as a full-time writer and publisher. Are you living your dream yet? Do you remember what you wanted out of life when younger? If you need help, this topic is the theme of my recent podcast, Finding Your Purpose and Mission (which can be streamed from that page, and there’s a transcript too). If a guy who’s massively ADD can do it, you can too! And please do not send me a greeting card through any online site! As the author of the Spam Primer, I know that too many of such sites gather addresses for spammers. I have much better things to do than go from site to site to get pre-packaged messages. Thank you.